Enhance your guest room decor and stay organized with this classy leather remote control organizer. It is a perfect for home, hotel rooms, classrooms, offices, conference rooms and emergency rooms. It features five Spacious Compartments to Hold TV Remotes, Cellphones, Pens and Many More. It is well known for their flawless and durable finish. 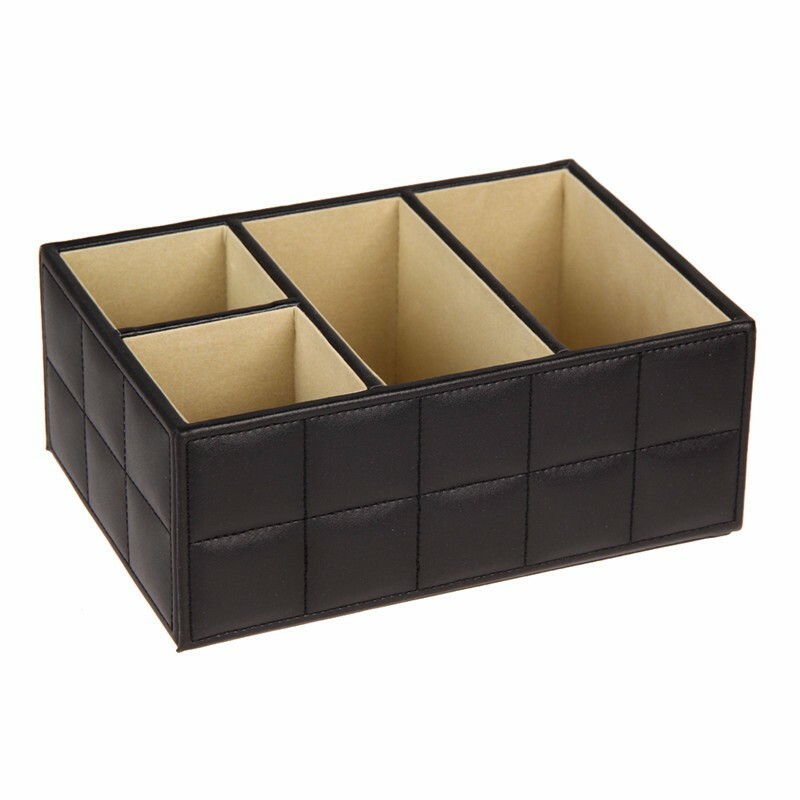 Its available in Black, Brown, color to match existing desk accessories, while providing elegant envelope storage.